July 17, 2012 - Kodak today announced that Huws Gray, the largest independent builders materials company in Wales and the northwest of England, has installed 39 KODAK i2400 Scanners and 39 licenses of KODAK Capture Pro Software along with Border Merchant Systems’ (BMS) proof of delivery scanning module. The proof of delivery scanning solution enhances efficiency and provides Huws Gray workers with instant access to documentation associated with all deliveries made by its team of 70 drivers should a customer have a query. The new system will digitize approximately 15,000 delivery notices generated each month. KODAK Scanners and Software were supplied by Kodak’s reseller, BMI Solutions. 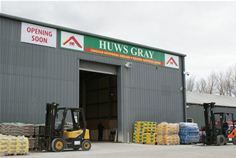 Huws Gray sells plumbing, heating and building materials and has its head office in Llangefni on Anglesey. Since it was founded in 1990, Huws Gray has doubled in size every five years through organic growth and acquisition and now employs more than 400 staff. The company has expanded its branch network and opened five new sites in 2012. Huws Gray now operates a total of 39 trading locations, and each site uses a KODAK i2400 Scanner and KODAK Capture Pro Software. This is key, as Huws Gray receives numerous queries per month with some of its bigger accounts wanting to know who has signed for goods before invoices are paid. The proof of delivery scanning module links to BMS CounterAct fully integrated merchant software, an enterprise solution used by Huws Gray for the past 15 years for its accounts (sales, purchase and nominal ledger), price book, point of sale, stock control and quotations. Each proof of delivery form is given a unique barcode, which Capture Pro Software automatically reads. This is matched against a sales number within CounterAct Software when the images are imported on a daily basis, with the proof of delivery scan archived together with the customer’s order in the same folder. Speed of response to queries has improved dramatically. In addition, the system allows accounts staff to produce reports on those orders which do not have a proof of delivery associated. BMS recommended that Huws Gray use KODAK i2400 Scanners, as they are robust and reliable with the same workgroup solution implemented throughout the company to make support easier even though scanning volumes differ per branch. Furthermore, KODAK Capture Pro Software is simple to install and deploy across multiple sites. BMS also liked that both the scanner hardware and imaging software came from the same manufacturer, as integration is seamless. Each scanner connects to a desktop PC and as part of the roll-out, which is now complete, Huws Gray also upgraded to MICROSOFT WINDOWS 7 OS. Able to process up to 2,000 pages per day at 30 pages per minute, the compact i2400 Scanners come with Kodak’s Perfect Page imaging technology and use next-generation dual indirect LED illumination, which eliminates traditional lamp warm-up time so staff can scan in black and white and color safe in the knowledge that the very best, crystal clear images will result straight away. In addition to speed, the i2400 Scanners automatically de-skew and rotate pages so everything is the right way up, as well as coping with paperwork even if it gets crumpled. Not only does Huws Gray scan proof of deliveries, but other paperwork as well. This covers a range of documents such as sick notes, expenses and other office forms. BMS is a specialist accounting and sales software provider for the building industry. Its CounterAct solution is specially designed for merchants including builders, plumbers, roofing, timber and ironmongers covering everything from purchasing and pricing to estimating and accounting. A fully integrated system with a range of additional add-on modules, CounterAct is easy to learn and use, and written and developed by a team of in-house programmers. Founded in 1990, BMS is based in Monmouth and is privately owned.